Dr. MaryBeth Asenime is a native Texan with roots in Nigeria. She began her pre-medical studies at Texas Southern University as a pre-pharmacy major. Her first encounter with the healing art of chiropractic came when she accompanied her uncle on a visit to his chiropractor. Her uncle suffered with severe back pain following a car accident. He constantly told her how chiropractic improved his condition and how much better he felt. During this visit with her uncle, Dr. Asenime witnessed the natural healing effects of chiropractic and the conservative path to healing the body. Following this experience, Dr. Asenime became passionate about chiropractic and switched career paths. While in chiropractic school Dr. Asenime learned a variety of techniques to analyze, diagnose and treat the human body. She focused on sports injuries while on rotation at Rice University in Houston. During that time, she was able to treat all types of athletes with very different injuries. Her goal is to help every athlete perform better before, during and after competition. 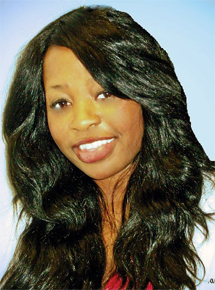 In addition to her Doctor of Chiropractic degree, Dr. Asenime earned her certification in acupuncture and soft tissue therapy while at Texas Chiropractic College. Her mission is to help educate everyone from all walks of life about the healing power of their own body and how chiropractic helps facilitate natural healing. She is an avid sports lover, enjoys doing volunteer work and spending time with her family. Dr. Asenime is dedicated to ensuring that each and every patient at Marshall Back & Body Wellness Center reaches their optimal level of health.